The Lock Father Ltd - Locksmith, Windows/Doors/Conservatories based in Leigh on Sea, Essex. 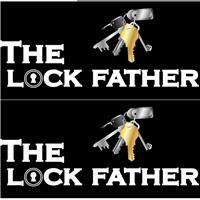 Here at The Lock Father, we offer a full 24hr Locksmith service for your time in need. Below is a short list of what makes us stand out from the rest, you can be sure we have no gimmicks and what we quote is what you pay. - WE WILL NOT BE BEATEN ON PRICE OR SERVICE! We are a well established company servicing most estate agents throughout Essex and London, offering a full lock installation/change or gaining entry service. Our rates are most competitive and don't subcontract any work out. We wanted to offer our customers the best service and this is why when you call, you speak to a fully qualified and experienced Locksmith who knows what you are talking about. Our vans have the most up to date stock levels and if on the off chance we need to order your replacement lock we will NOT leave your property unsecure. You can be assured that your property is in safe hands and sleep easy knowing your security is up to insurance requirements.